Day 2: Second day of individual rehearsals in Sofia! Today, 8 participants got up on stage for the first time, in Sofia, for their first rehearsal. Yesterday, during the first official day of rehearsals, the participants from 9 countries had the chance to get up on stage for the first time. Mishela Rapo (Albania), MIKA (Armenia), Destiny Chukunyere (Malta), Ruslan Aslanov (Belarus), Gabriela Yordanova & Ivan Stoyanov (Bulgaria), Gabede (Georgia), Aimee Banks (Ireland) and Ivana & Magdelena (FYR Macedonia) were among those artists. You can read all about yesterday’s rehearsals, here. Jana Mirkovic, from Montenegro, was the first to get up on stage today. 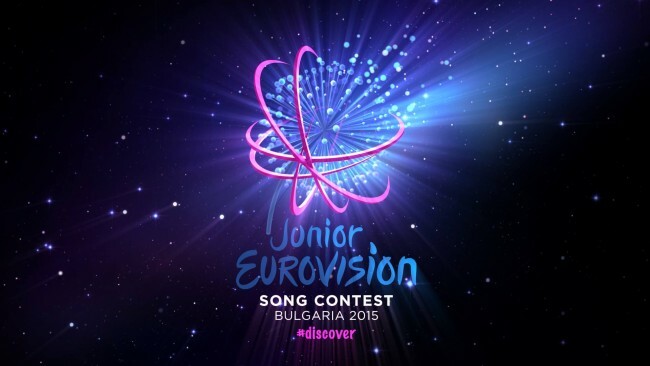 Jana Mirkovic is a 15 year old girl born in Podgorica, the capital of Montenegro. Her song ‘’Oluja’’ (‘’Storm’’ in English) ‘’is about love (…) the message behind the song is that young people, especially when they are in love, always brings strength and energy like a storm.’’ You can read our interview with Jana in its entirety, here. The song was composed by Mirsad Serhatlić and the lyrics were written by Boban Nonovic and Jana Mirkovic, herself. Vladimir Graic was in charge of the arrangements. Shalisa, from the Netherlands, was the second artist to rehearse today, in Sofia. At the beginning of the month of October, she triumphed at the Junior Songfestival. Shalisa is also 15 year old girl. She is born in Wognum, a small village in the Netherlands. A few weeks ago, Shalisa took the time to record a video for the ESCBubble in her village, on the countryside. (video) Her song is called a ‘’million lights’’. As Shalisa explains in the video, her song is about 2 lovers who can’t reach each other because they live far away, from each other. But by the million lights up in the sky, they are connected because they see the same stars in the sky. Shalisa composed and wrote the song herself, with the help of H. Tomas and J. Griffioen. Her first stage rehearsal looked great this morning. She seemed ready for the great adventure of Junior Eurovision. She was very confident on stage. She wasn’t alone on stage: 2 dancers were with her. The choreography was looking great. Personally, I think that Bella Paige’s first rehearsal was great. She has a very powerful voice, as we saw today during her rehearsal. The next participant to get up on stage was Misha Smirnov, from Russia. He is 12 years old. He also has participated at ‘’The Voice Kids’’ and qualified for the Grand Final of the show in 2014, in Russia. He is born in Moscow to parents who both are mathematicians. A few weeks ago, he won the Russian national final for Junior Eurovision. He was the only boy to participate to his country’s national final. His song is called ‘’Mechta’’ (‘’dream’’ in English). It was composed and written by Vladimir Dushevny and Misha Smirnov, himself. Russia brought a hammock to the stage. Alongside Misha, there was also a dancer on stage, who was dancing around the white hammock. Furthermore, we could also see animations in the background that reminded me of the ones they used in Vienna, during Polina Gagarina’s performance, at the Eurovision Song Contest 2015. After Misha’s rehearsal, following the lunch break, another Russian artist held her first rehearsal in Sofia, today. Kamilla Ismailova, born in Moscow, is the San Marinese representative at the Junior Eurovision Song Contest 2015. She is an 11 years old singer, actress and a TV host. Kamilla grew up in Moscow but visited San Marino in her childhood. During that visit, she instantly fell in love with the little country. She did everything she could to, once again, be connected with her beloved nation. Her song is called ‘’Mirror’’. It was written and composed by Kamilla, herself, with the help Andrelli, Josefin Glenmark and Piero Romitelli. During her rehearsal, Kamilla was wearing an enormous and magnificent white dress, with pieces of glass on one side. It reminded me of Aliona Moon’s performance at the Eurovision Song Contest 2013. The staging was, also, very impressive. She looked very confident on stage. Kamilla Ismailova was definitely my surprise of the day: she has the most impressive staging of this year’s contest in my opinion. Afterwards, Lena Stamenkovic, from Serbia, who will open the show on Saturday, took the stage. She is 11 years old. She is born in Zajecar, in Serbia. She has one of the most powerful voices of this year’s contest. At a very young age, Lena participated in a talent show, in Serbia, called “Pinkove zvezdice”, in which she finished 4th. Her song is called ”Lenina Pesma” (‘’Lena’s song’’ in English). It was composed and written by Leontina Vukomanović. Dusan Alagic was in charge of the arrangements. Lena has a very, very powerful voice! She had a great first rehearsal. She had arrived ready and we could feel it. The animations in the background were also very impressive. She impressed the majority of the people in the Armeec Arena with her powerful voice! Lina Kuduzovic had an amazing first rehearsal. Her vocals were on point. In the background, the animations were amazing with the castle and the forest, for example. She was also all alone on stage. She was definitely one of my favorites today. Finally, Anna Trincher, from Ukraine, closed the second day of rehearsals. She was the last participant to rehearse on the Armeec Arena’s stage. She is a 14 year old girl, born in Kyiv. She discovered her passion for music at a very young age. She has participated to a few musical competitions in the past: ‘’Nightingale of Ukraine”, “My Chance” (online competition), “New Wave” 2015, “The Voice Kids” (Ukraine) and the 2014 Ukrainian Junior Eurovision National Final. Her song is called ‘’Pochny z sebe’’ (‘’Start with yourself’’ in English). The song was written and composed by Alyosha, who represented Ukraine at the Eurovision Song Contest, in 2010.
Who were your favorites today? Which country do you think stood out the most today? Austria announces details for Wer singt für Österreich? Day 3: Second rehearsals started in Sofia!